Singing in the shower has long been something that a lot of people love to do. Even if you don’t like to participate is shower karaoke, many people would love the chance to be able to listen to their favorite songs while they are having a wash. The Splash Tunes Pro Speaker doesn’t have to be confined to the shower room though, as these waterproof speakers can be taken anywhere. You can play your music confidently whenever you’re near water, whether that is by the pool, riding on a kayak or relaxing on the beach. It is a dynamic speaker that is going to be able to a good level of sound quality whilst also having a long battery life. It’s a great product that you are going to find yourself using time and time again in a wide variety of different situations. A lot of shower speakers lack in quality and don’t give you all of the protection that you need from the water. This can mean that you don’t get a decent level of sound and your speaker doesn’t last for very long. 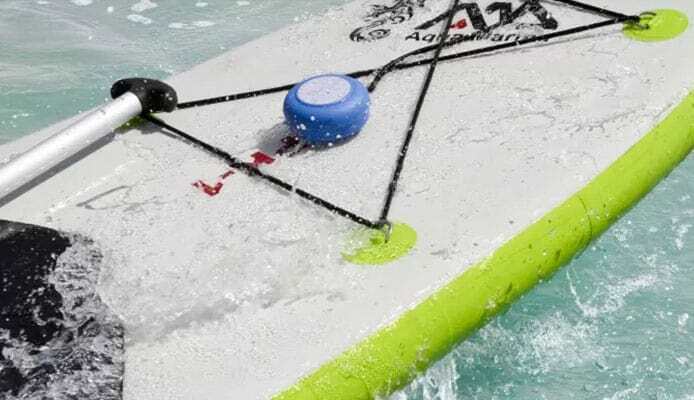 The Splash Tunes Pro Speaker goes against that and has a range of features that set it apart from the other types of water resistant speaker out there. Here we look at some of those features that are able to make it stand out from the crowd. 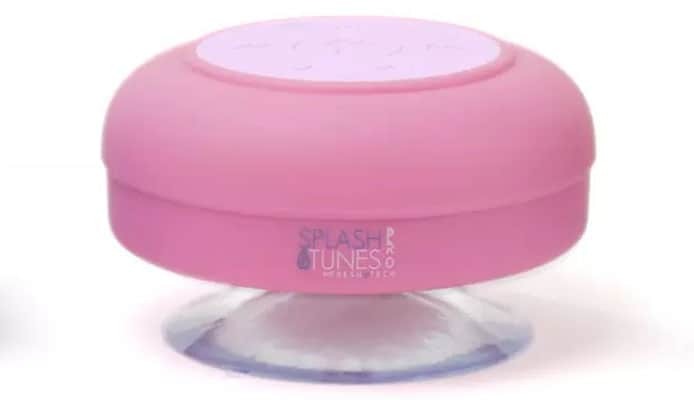 Ease of use: One of the most appealing aspects about the Splash Tunes Pro Speaker is just how easy it is to use. The Bluetooth connectivity is simple to control and it has 4.0 technology, allowing a very strong connection and volume sync controls. The battery life is also very impressive too. Often with these types of devices you are only able to listen to your speaker for a short space of time before you have to recharge it once again. With the 14 hours of battery available, you could have this device in your shower for a long time between charges. Unlike a lot of devices, this speaker is completely waterproof and therefore you don’t have to worry about it falling into the shower. 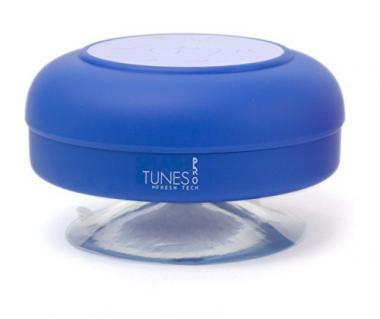 While not able to be submerged, it does float, so if it does fall in the water you can simply pick it back up and keep playing your music. You’re not going to have to worry about that too much, however, as the oversized suction cup is going to be able to keep it firmly in place. The battery is also quickly rechargeable too, allowing you to get back to listening to your music in no time. The sound and usability: Another area where these types of small speaker often fail is with the sound quality. This is a speaker that is able to give you a very high level of sound with a good level of bass, with no loss of quality when you turn up the volume. That sound quality allows you to take the speaker anywhere you want to and it’s going to be able to work brilliantly outside, whether you are at a beach or on a kayak. Sometimes you want a little more privacy though and this is where using a waterproof MP3 player with waterproof headphones can be a great idea. That’s another aspect that sets it apart from its rivals as you will end up getting a huge amount of use out of it. You will be able to take it with you wherever you go and enjoy the music you love, not having to worry about the environment that you are in. Controls on the speaker are very easy to use, with the ability to be able to answer calls easily. All the standard controls are there too, as you will be able to easily adjust the volume, change between songs and also pause and power off your speaker when you need to. With a shower speaker, you can never expect to have the greatest sound quality that you have ever heard but this device is brilliant for its size. Overall, this is a speaker that ticks all of the boxes in terms of what makes a great shower speaker and you will be very happy with it. Price: 95% – Considering the quality and versatility that you are able to get from the speaker, it is very well priced and isn’t going to set you back too much. It’s well worth the money that you are going to spend on it and you will soon realize it’s money well spent. Material: 100% – You can’t pick any faults with how this speaker is made or the materials that it uses. It is a high quality device that is able to be fully waterproof and the USB charging port keeps a tight seal. The oversized suction cup is also able to firmly keep your speaker in place. Design: 90% – This is a very well designed speaker that is going to be easy to use. It could be easier to completely switch off but all the controls are fairly simple. It also looks good too and gives you all the usability that you need from a shower speaker. Overall: 95% – This is a great product and it’s hard to pick any faults with it at all. It links in the easy connectivity with that long battery life and also with a speaker quality that is above what you would expect from such a device. For many, a shower speaker can be a novelty item that ends up quickly being kept in a drawer somewhere never to be used again. The reason for that is due to such aspects such as the battery running out too quickly and constantly needing to be recharged, or the sound quality being so poor that it feels pointless using it. Those two key aspects though are both areas where the Splash Tunes Pro Speaker is able to excel. You still aren’t going to get the sound quality of a regular speaker, but for its size, it far exceeds many of its rivals and gives you a very enjoyable listen. The battery life is also very impressive and it means that you could possibly have your speaker in your shower for months at a time if you are only ever taking short showers. There is a high amount of versatility too, as you are able to take it out of your shower and enjoy it outdoors in a large number of different activates. 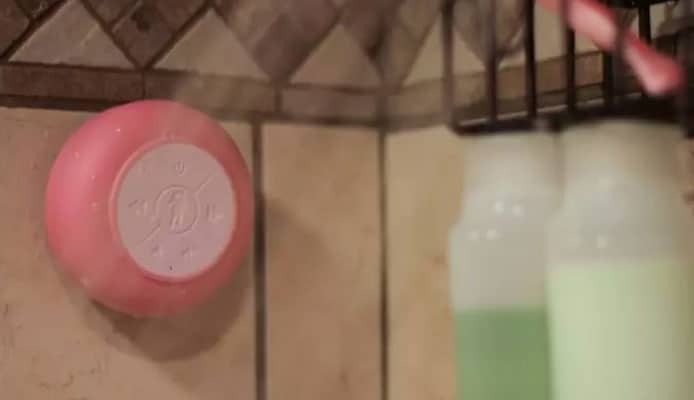 Whether you are in a steam shower, a regular shower or even a portable camping shower, it’s great to be able to listen to your music and this is a great product that is not going to leave you at all disappointed. It is an impressive device that mixes in an impressive level of quality in its design, battery and sound. It is a great speaker and one you will be very happy with.